"Five Myths Debunked: Hosted Vs. 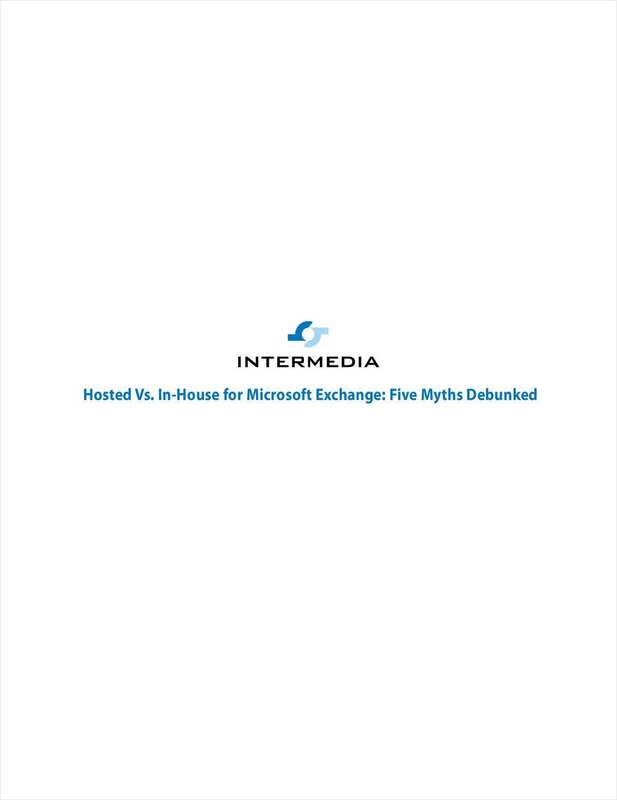 In-House for Microsoft Exchange"
Free White Paper: "Five Myths Debunked: Hosted Vs. In-House for Microsoft Exchange"
Learn how hosted Microsoft Exchange stacks up against an in-house solution and see five 'hosted myths' get debunked. By submitting this content request, I have legitimate interest in the content and agree that Intermedia, Inc., their partners, and the creators of any other content I have selected may contact me regarding news, products, and services that may be of interest to me.